Great tips! I always try to buy my clothe on sale. Usually stores like J.Crew, Banana Republic, and Gap offer some sort of new discount every week. As someone who is a spender, these are great tips. I've been meaning to start a budget but..well, it hasn't started yet lol! If you have any great book to read, please pass them on! Girl!! Nothing better than a student discount haha great first tip! I miss those days of student discounts! They were the best! Survey sites are the best! I love using them when I need a little extra cash. I've read about survey sites so often and yet never got round to trying them. It puts me off that it takes such a lot of time to make so little money, but then I spend a lot of time sitting on trains with little else useful to do so I may as well be making a little money. Wonderful reminders for those in need to saving a few bucks for any reason. I am a part time online student, and love the discounts that it affords me while I dish out money for books and tuition. Every little bit helps. Cool tips! 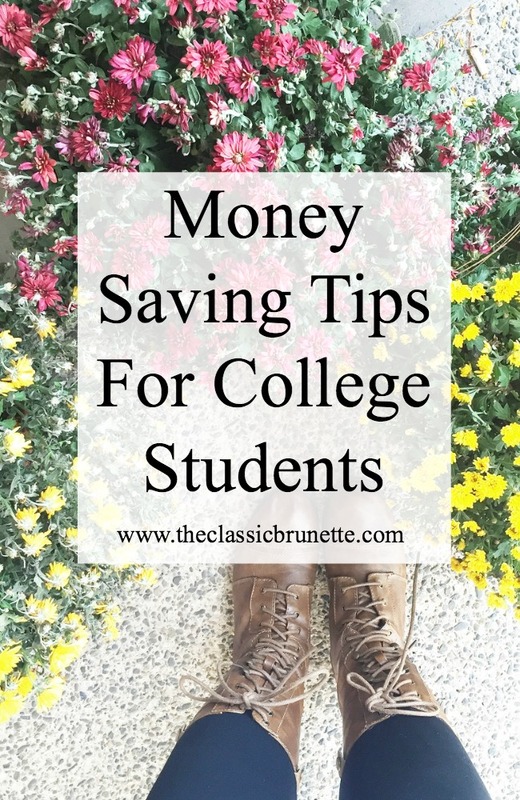 Although I am not a college student, these are still great tips for anyone who wants to save money. I'll pass it on to my nephew who is a college student. He'd love it. Great tips! I also like using a budgeting tool online to account for every dollar, that way I can see exactly what I'm spending on what and plan to spend money responsibly. If it's in my budget then I don't feel guilty about it. I am totally using some of these! It is kinda hard to be money careful all the time! I really wish I would've made more of an effort to budget in college. Could've cooked at home far more often! Student discounts are everything but you would never know unless you asked because most stores don't advertise them. Paying with cash is also really important to do because then you can actually see your money going away! Saving my coins has been great for me! These are awesome tips! Great tips Sami! Student discounts and just doing a quick google search when you're shopping can save you tons! These are awesome tips! I would suggest that for those who are coffee-obsessed to forgo their morning Starbucks and getting a single-serve coffee maker instead- you can save SO much my making your own coffee! Great tips! Meal prepping is my favorite way to save money. Eating out can get so expensive! Paying with cash is a big one. I feel like a lot of students go into debt and the cash helps. I've never been big on budgeting or going out of my way to save money or anything like that lol my husband and I have always been very financially stable. But I do choose to purchase all my textbooks in ebook format rather than purchasing a physical copy. Not only is this a MUCH cheaper option, but it's also so much more convenient. I have all my textbooks on my iPad so I never have to carry around heavy books. I can highlight and take notes in it as well. It's perfect! This is really useful, I could use this when my 11 year old son start his college. I'm also getting ready for my kids financial.